Oh Thailand. Easy to travel, relatively cheap, stunningly beautiful. I’ve already waxed lyrical on a whole host of destinations from our three month adventure around this Asian country, and today, I’m going to wax some more! If you happen to be a diver, then the Similan Islands will likely already be on your to-do list. This small set of islands, about 60km off Thailand’s west coast, boast some of the most impressive diving in the world, and are ranked as a top ten dive site by the National Geographic Society. So it’s a pity I don’t dive really. 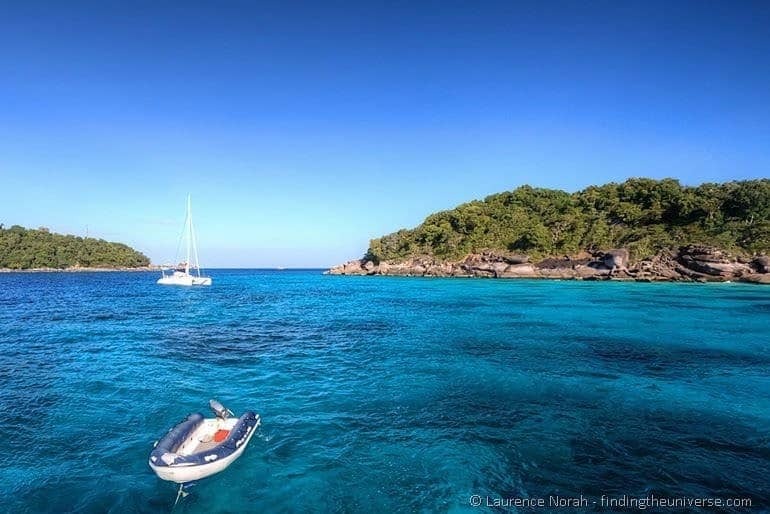 On the other hand, I do love a bit of snorkelling, which is a good thing, because as well as diving, the Similan Islands also happen to offer incredible snorkelling opportunities. Today I’m going answer all the questions you might have about these islands, as well as share with you the tale of our three day adventure! 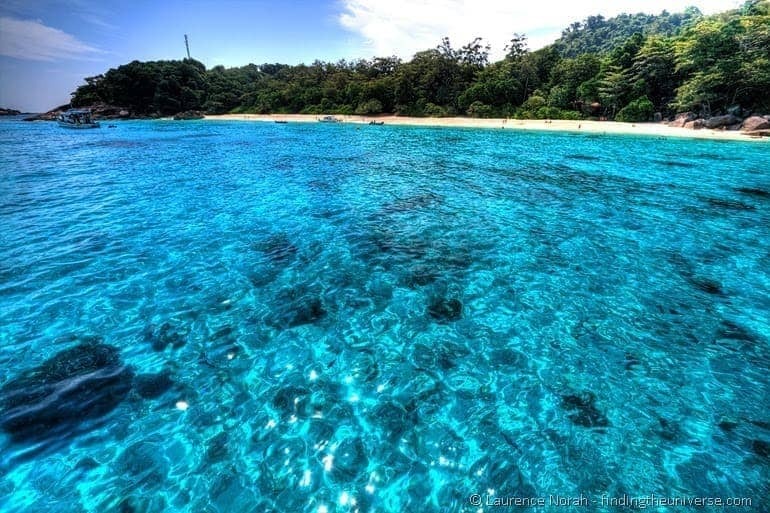 Where are these Similan Islands? 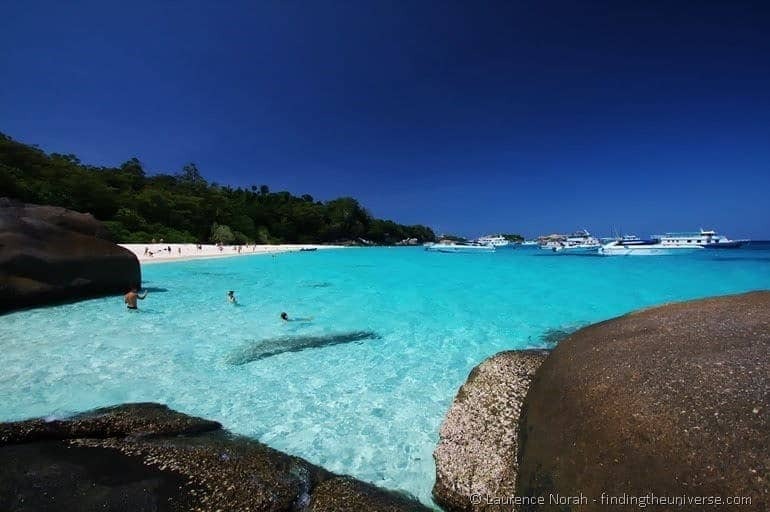 The Similan Islands are located off the coast of Thailand, about 60km or so from the mainland. There are nine of them in total, and for simplicity, they are often referred to by number rather than name. Similan even means “nine” in the local language. In order to protect the local wildlife islands one, two and three are closed to the public, and fishing is also banned in the national park. You are going to have to take a boat to get to the islands. Fast speedboats take just over an hour, whilst the slowboats take around three hours. The easiest way to do this is to arrange everything through a tour company – they will be able to sort out accommodation if you want to stay overnight, get you to and from Thab Lamu pier from the major towns in the area, and all your meals and activities. In theory you could try and arrange it yourself, but the cost difference would be negligible and the logistics overhead would be high. Plus, the islands are a very popular destination, and you’re going to be surrounded by people whatever you do, so you might as well just throw yourself into the tour mentality and let the stress of organising things fall to someone else. And what do I do once I’m there? The Similan Islands are all about the water, although the beaches and islands are also pretty epic it has to be said – I’m talking jungle covered granitic outcrops and white sandy palm fringed beaches. They are in fact reminiscent of my island home the Seychelles – if a little more crowded. Let’s focus on the water though, which is where you will probably be spending most of your time. 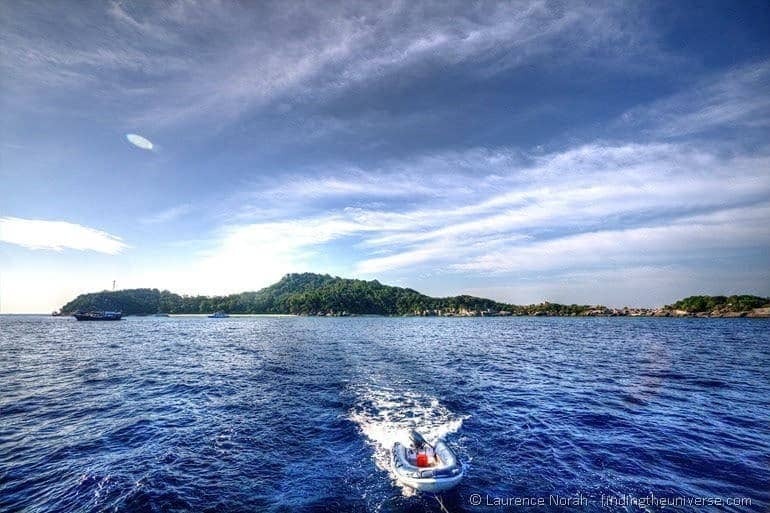 If you are a diver, then you will be going for a dive tour, which is likely to feature a live aboard dive boat, and more water than you can shake a stick at. 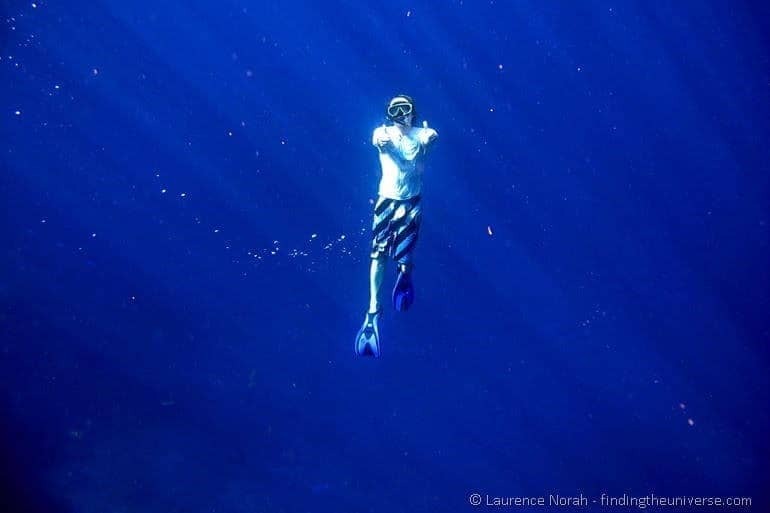 We didn’t do that, but fellow travel blogger Matt of Expert Vagabond did, and you can read all about his experience of scuba diving the Similan Islands here. We went for a three day / two night snorkelling tour package, which saw us in the water most of the day, and sleeping on the islands over night. The days consisted of a number of snorkelling trips from a larger, slower boat that was based at the islands, usually two snorkels in the morning and two in the afternoon. These sessions were of around an hour each, and there was always a guide along with us to explain what we were seeing and to keep an eye on us – as well as to take photos! He also got very excited about various fish that we saw that were deemed rarer than other fish. So all in all, handy to have along! In between these snorkels, we would cruise on the ship to different spots, take in the amazing views, and chat amongst ourselves. There was also limitless coffee, tea, cold drinks and cookies, plus all of our meals were served on board. The boat we were on had between five and fifteen passengers while we were there, so it was never particularly crowded – one big advantage over the day trippers boats, which were carrying upwards of forty people. Our time in the water was absolutely unforgettable, without doubt the best snorkelling I’ve ever done. Within minutes of first entering the water we had seen two turtles, countless fish, and incredible underwater landscapes. Yes – much of the coral has suffered bleaching, as with the rest of the world, but the colours of the fish and the clarity of the water still made this an adventure that was totally worth doing. In the evenings and on a couple of the days we had the chance to spend some time on the islands. There was sufficient free time for a bit of free snorkelling from the beach, but we largely took the opportunity to go explore the beaches and the inner parts of the island. For our two nights we slept on Island 4, which is the largest of the islands, and offers three types of accommodation – tents, fan bungalows and A/C bungalows. Tents are around 500 Baht a night, whilst the bungalows are 1000 or 2000 depending if you want the fan or A/C option. This was all included as part of our tour package. We ended up having the fan bungalow for the first night, and the A/C on the second night due to the way our booking was made and the A/C bungalow not being available for the first night. 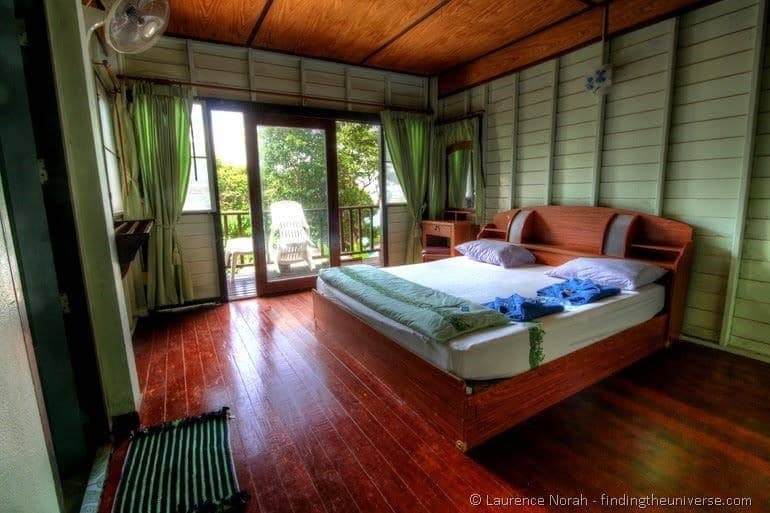 If you have the budget then I would recommend springing for the A/C option – the bungalows are much airier, have a fantastic view across the island, and generally feel a bit more up to date. Alternatively, the boat that we snorkelled from did have a live aboard option, which looked very comfortable. You are certainly not going to be short of choice, although you’ll want to book in advance as beds are limited on the islands and they are a popular place to come! 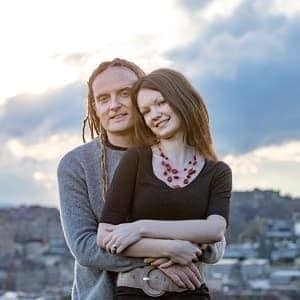 When and how long should I go for? As long as possible! Ok, I’m kidding. You can do the Similan Islands as a day trip, but I really feel that would not do the islands the justice they deserve. The day trip boats tended to be much more crowded than the boats based on the islands, and the schedules were somewhat tighter. If time or budget are against you, then of course a day trip is still going to be very much worth it, but if you can stretch your visit, do it. In terms of when to go, the islands are only open to visitors the beginning of November to the end of April, outside the monsoon season, so you’ll have to go then. Sun cream and more sun cream, the higher the factor the better. Snorkelling has you spending long periods of time with the back of your body exposed to the sun, and sunburn on the backs of your legs isn’t fun. I’d recommend wearing a T-shirt and shorts when in the water, to keep your back protected. Otherwise, if you’re overnighting on the islands, you’ll probably want to take some snacks and drinking water. Whilst drinking water is available on the islands it is very expensive compared to the mainland. You’ll also want mosquito repellent at night! Then, the usual stuff, an underwater camera if you have one, hat, sunglasses, swimming gear, towel and so on. The operator we went with was called Medsye, and we couldn’t fault them. The food was excellent, there was endless water, tea, coffee and cookies, safety was of paramount importance and they had a real attention to low impact tourism. Prices vary depending on where you get picked up from, with departures from Khao Lak, Phuket and Krabi. The below prices were valid for the beginning of 2013, but are liable to change, so take them as a guideline only. Prices include roundtrip transfers, all food and soft drinks, national park fees, snorkelling equipment, overnight tent accommodation (on trips that include nights) and accident travel insurance. If you want more luxurious accommodation, then a supplement is payable, around an extra B500 for a fan bungalow per night or B1500 for A/C. And that’s it! If you’ve got any questions about heading over to these amazing islands, just drop them in the comments below and I’ll do my best to answer them. Or, if you’ve been and want to share your own tips and advice, then just fire away! Our trip to the Similan islands was hosted entirely by the Tourism Authority of Thailand, with whom we partnered for chunks of our trip around Thailand. All our opinions naturally remain our own. 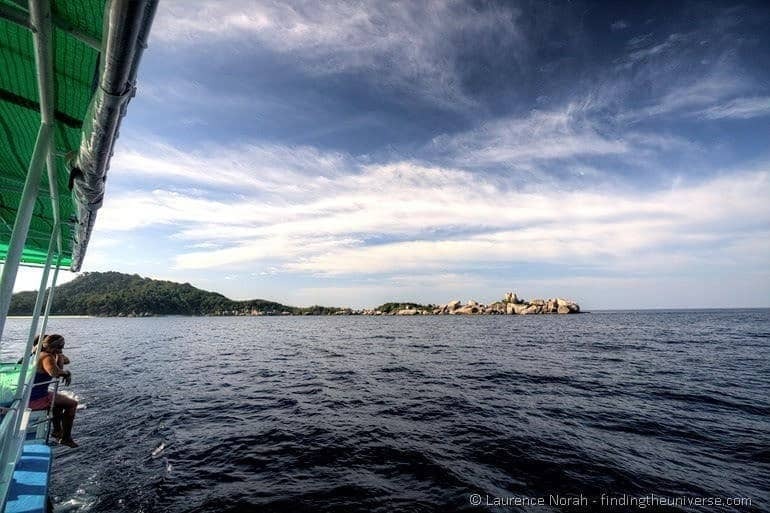 Great read and pictures, look like you had an amazing adventure at the Similan islands.